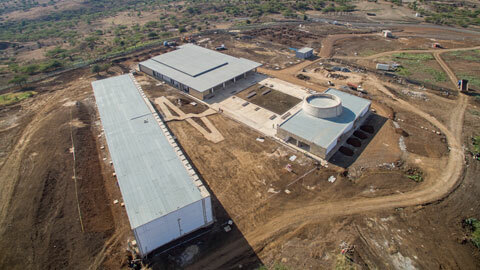 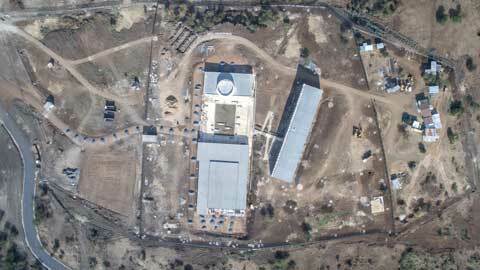 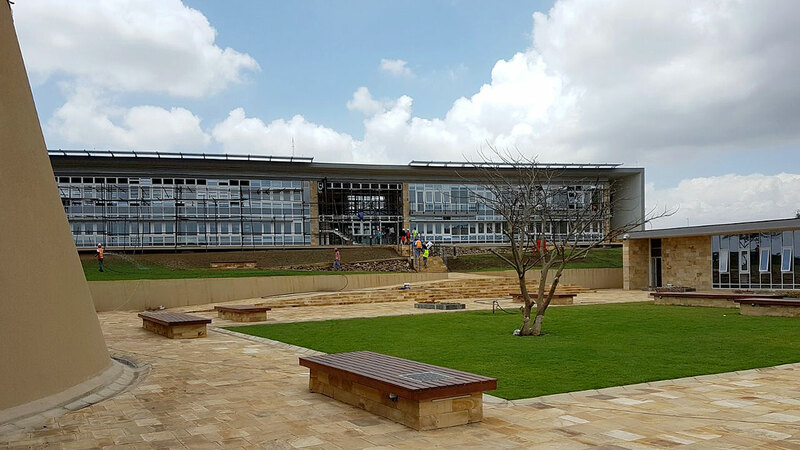 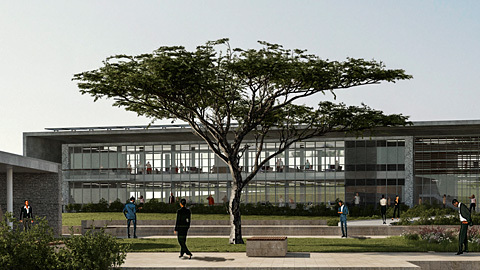 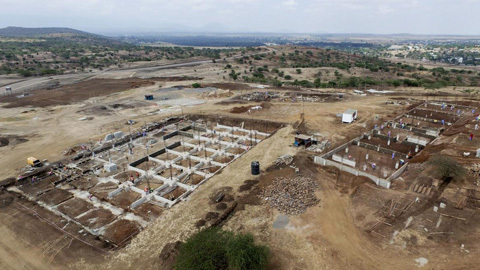 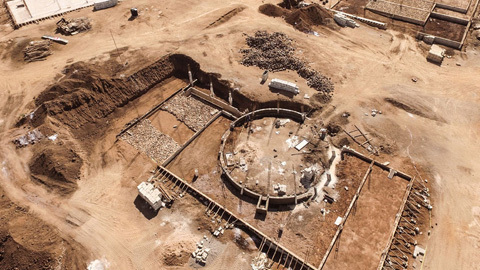 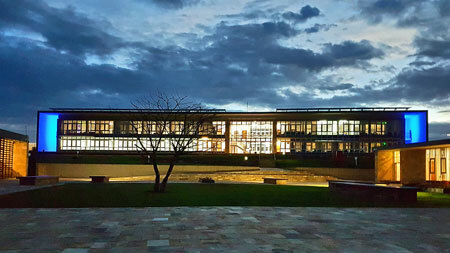 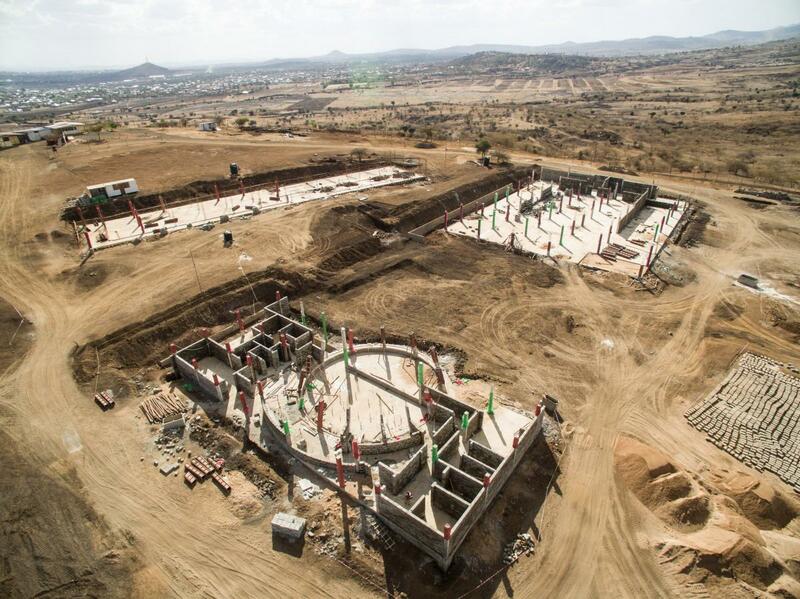 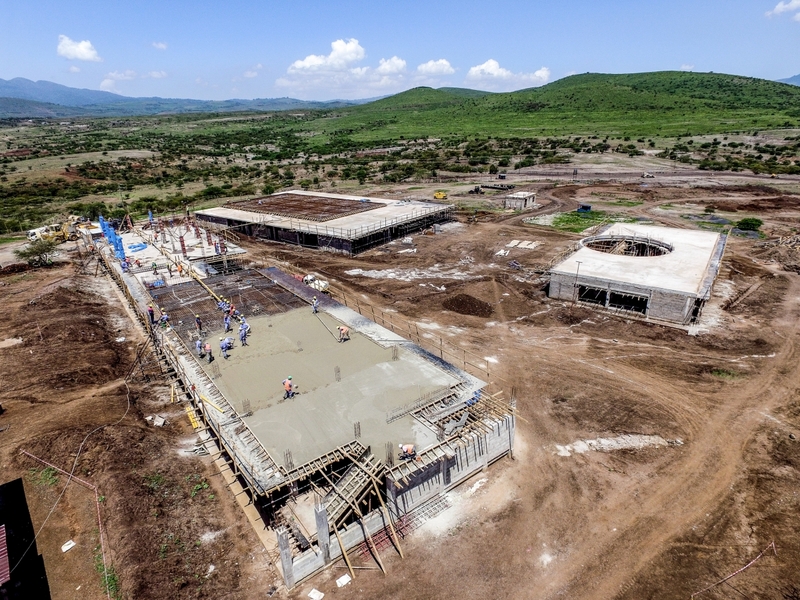 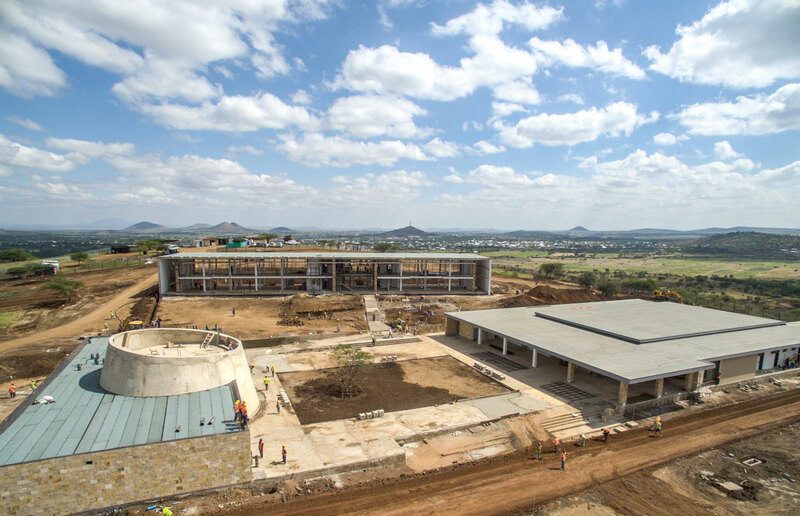 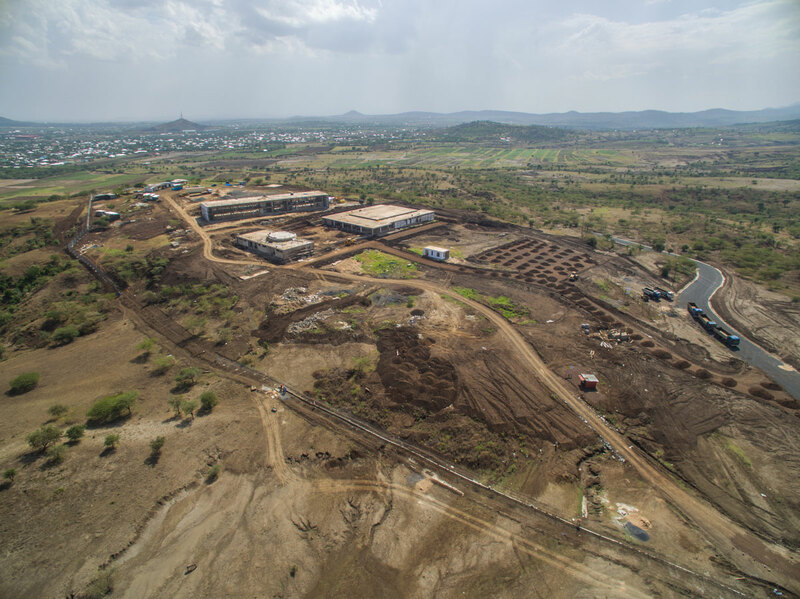 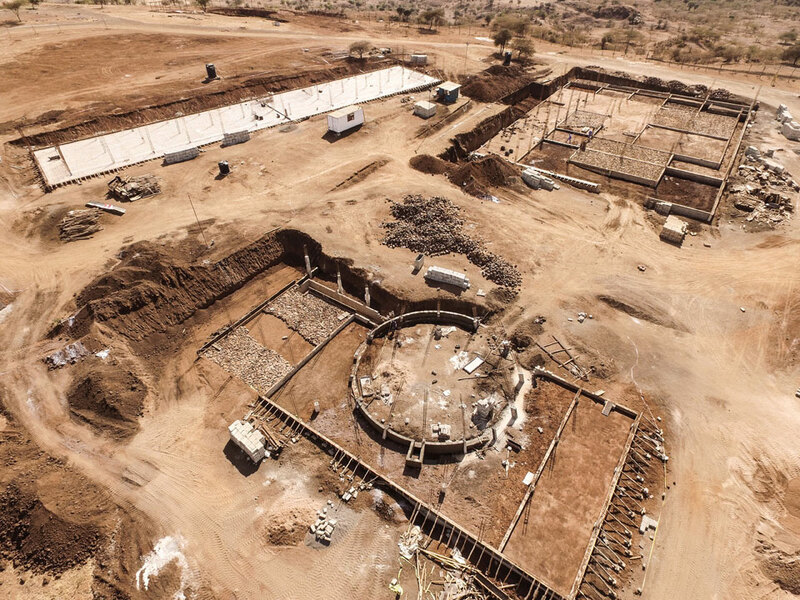 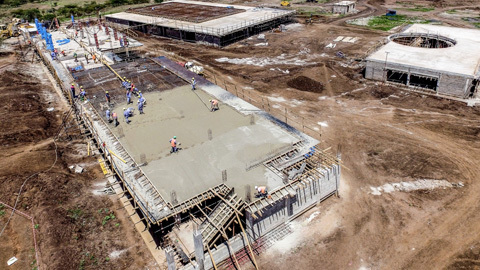 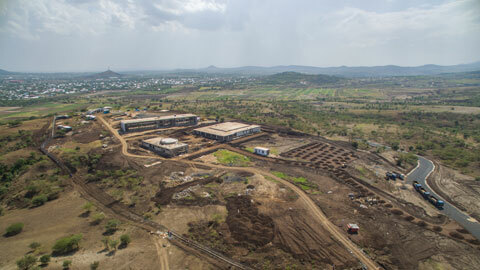 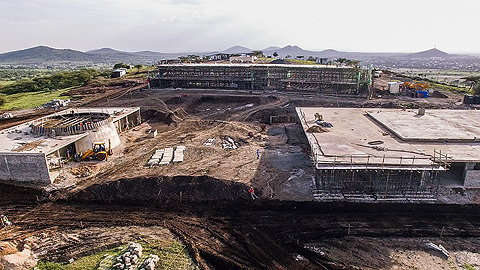 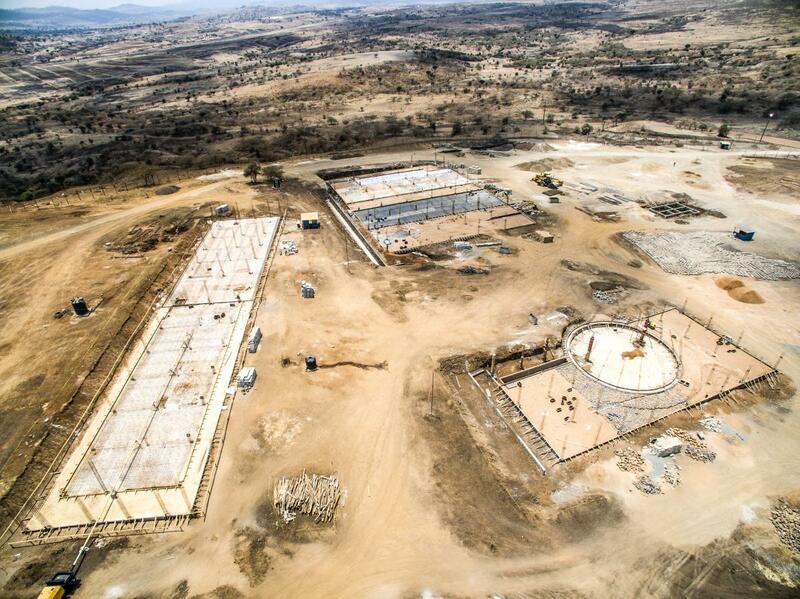 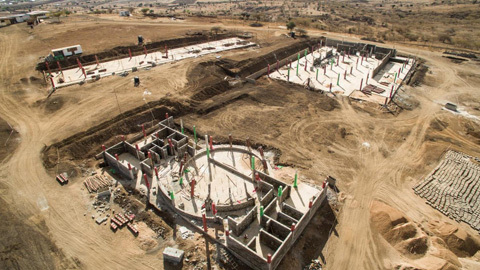 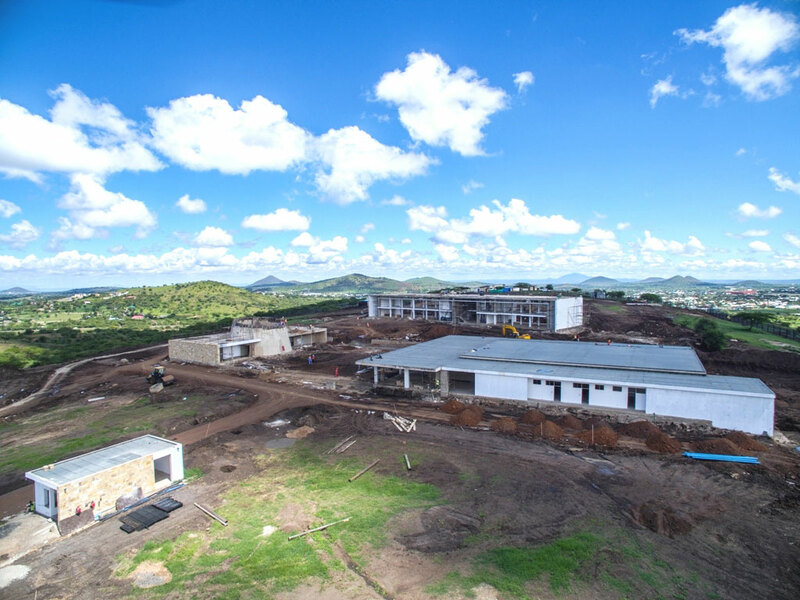 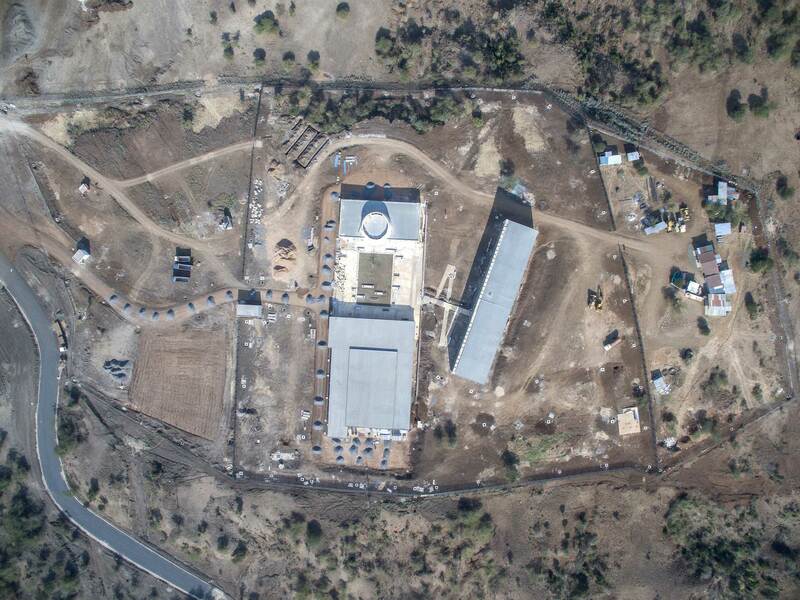 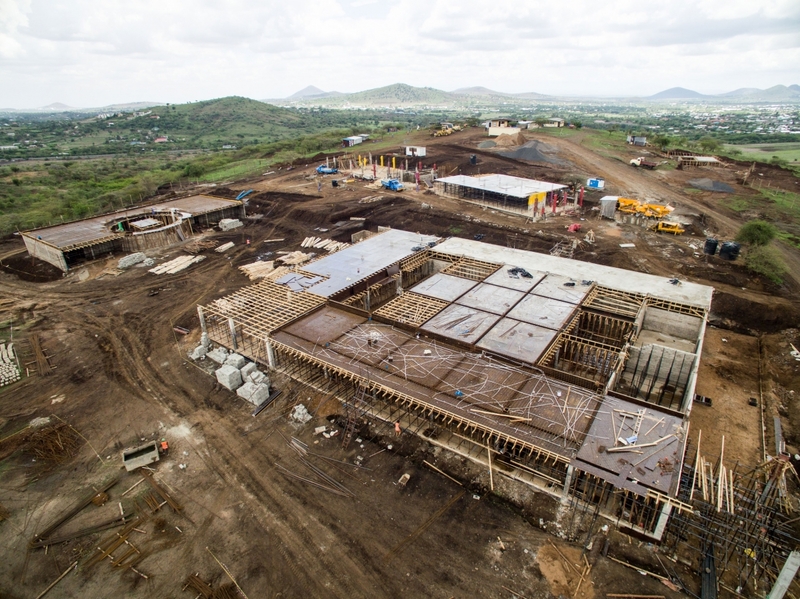 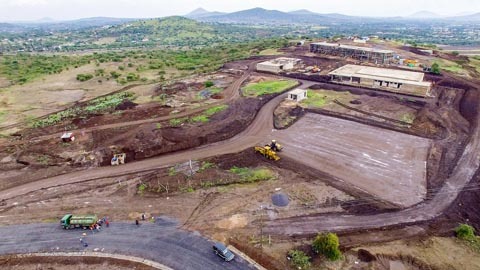 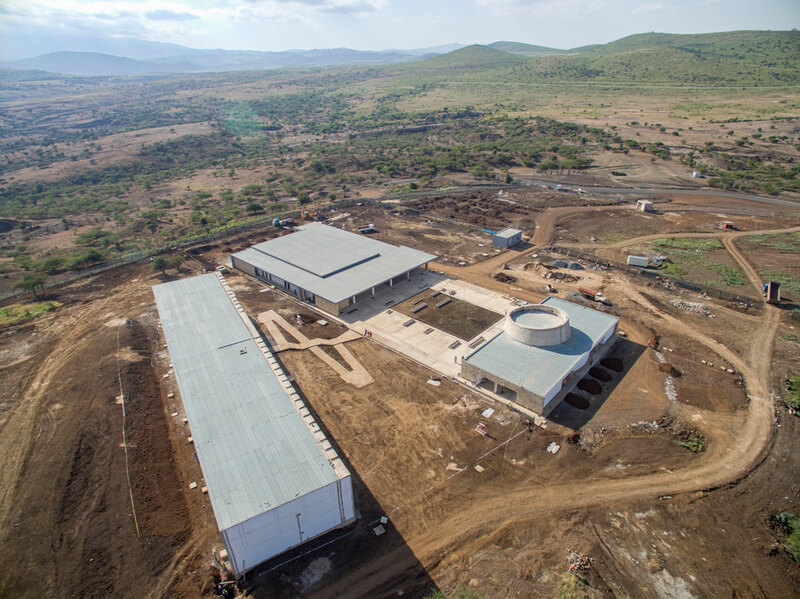 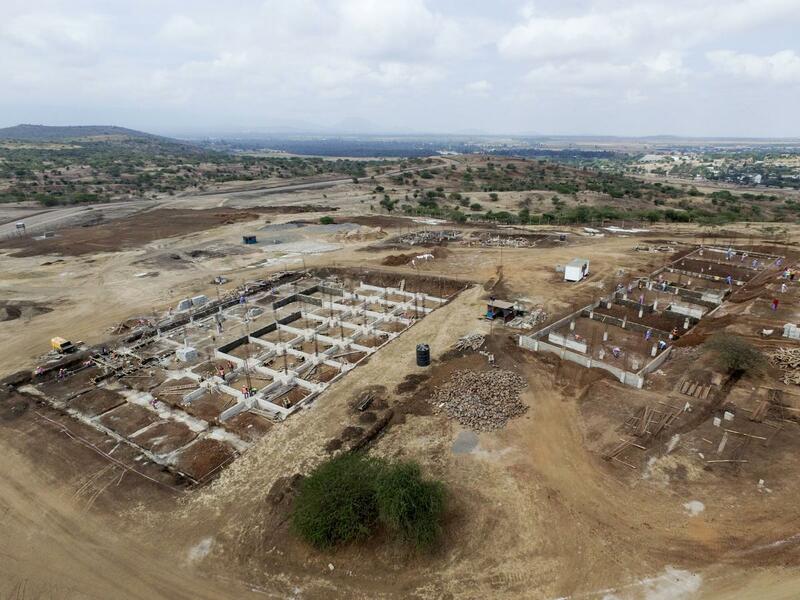 In his report of 16 January 2013 to the General Assembly, the UN Secretary General underlined that the specific programmatic, functional and security requirements of the Mechanism required the construction of a new facility for its branch in Arusha, where the ICTR is currently located. 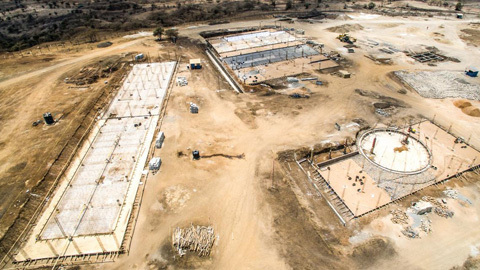 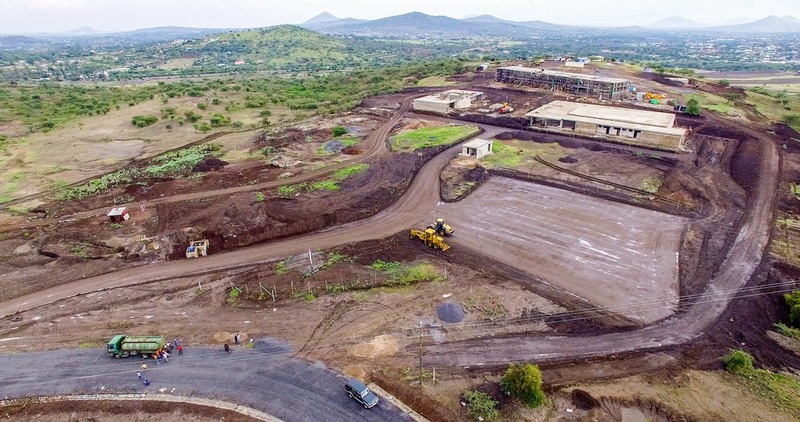 The Government of the United Republic of Tanzania offered to provide land for the premises and any required amenities and utilities at the identified site at no cost to the United Nations. 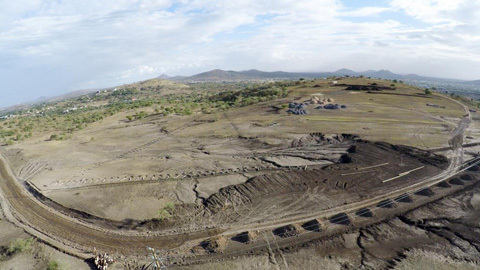 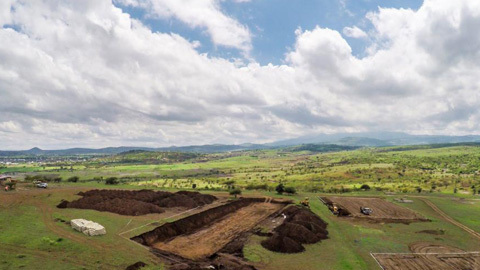 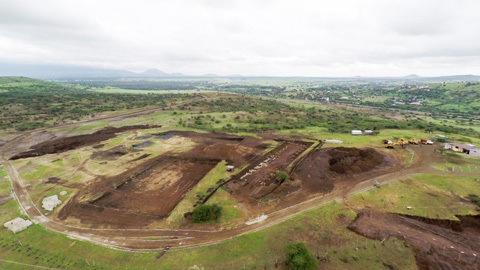 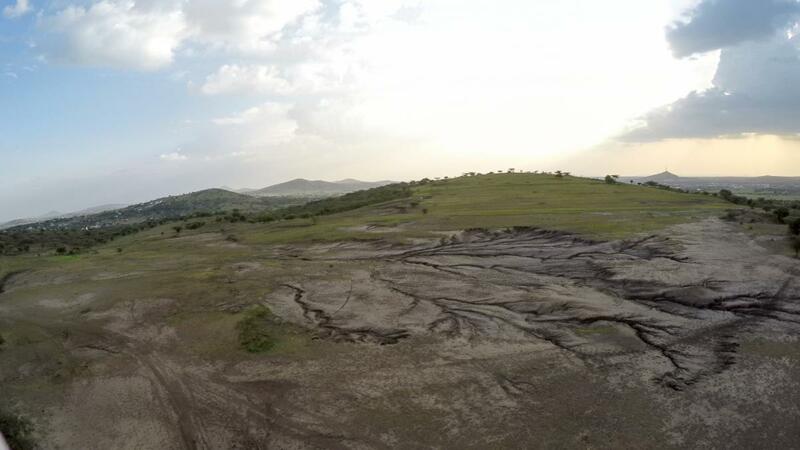 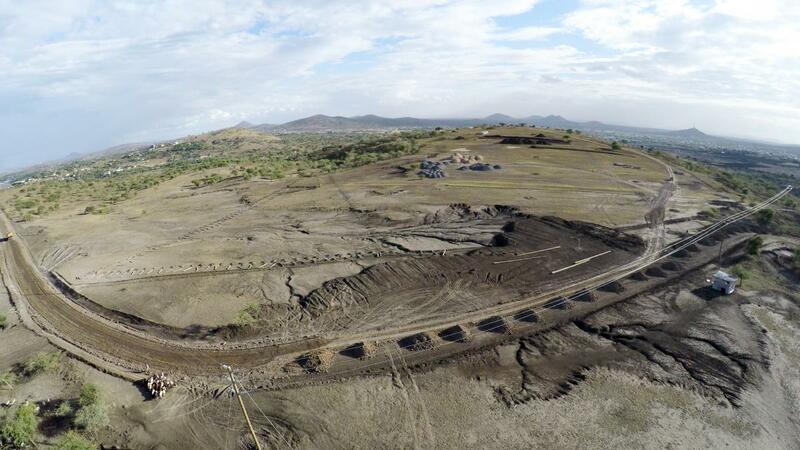 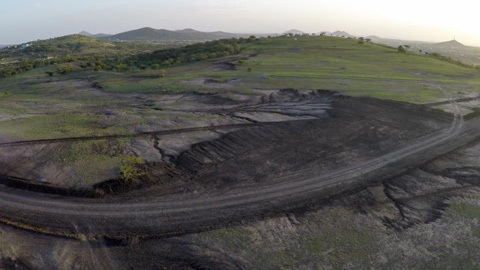 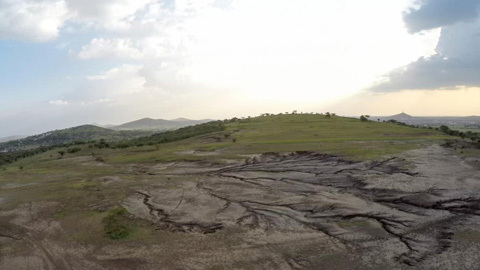 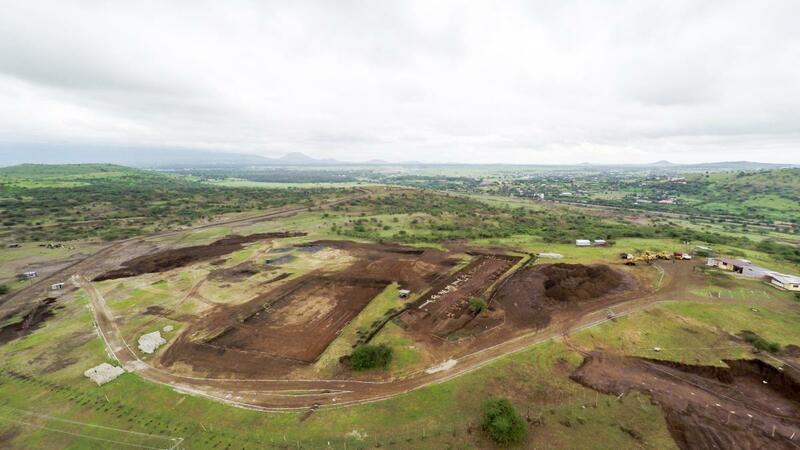 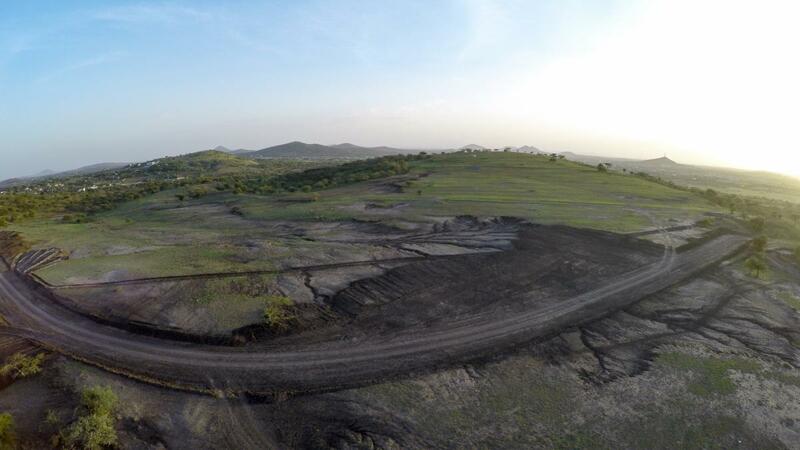 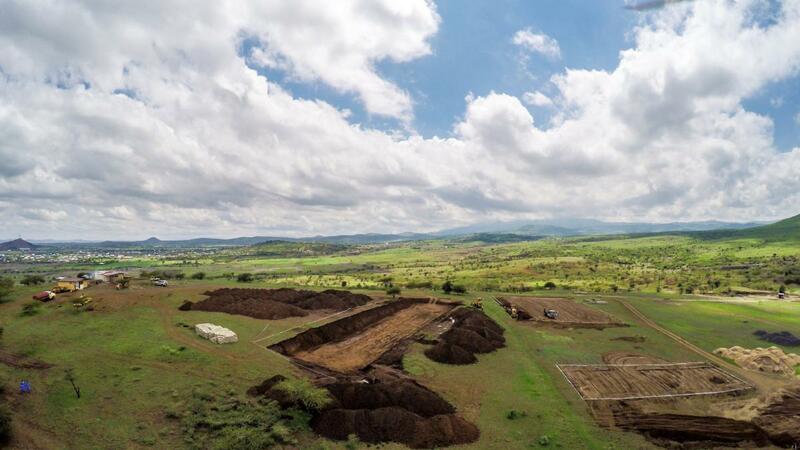 The most suitable site was identified at a location known as Lakilaki, in the immediate vicinity of both the city of Arusha and its airport. 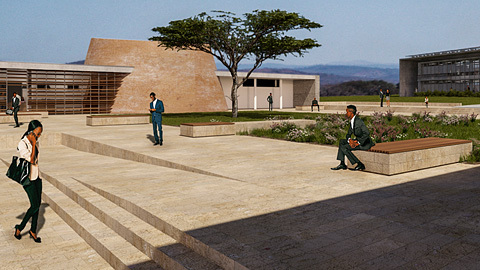 The compound is situated so as to fit naturally with the gently sloping terrain, and the three-sided courtyard will frame the view north towards Mount Meru on the open side. 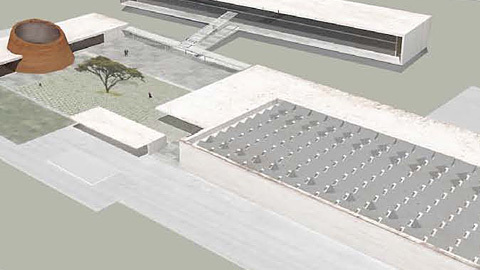 The overall design reflects the essence of the Mechanism, which is affirming itself as a small and efficient model institution in international criminal justice. 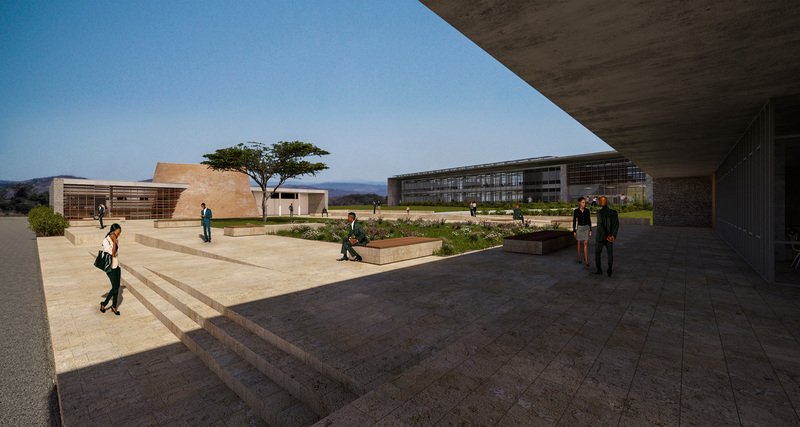 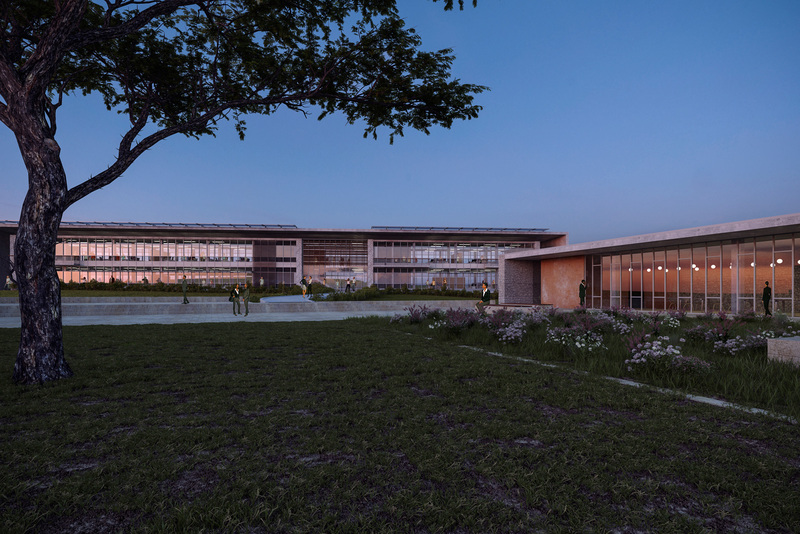 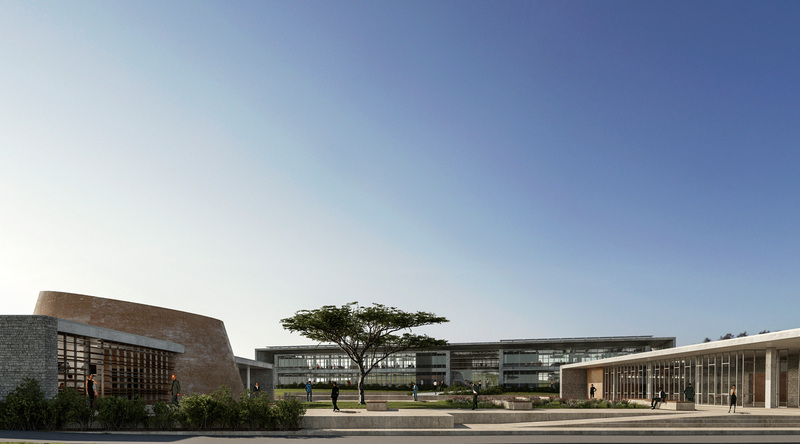 The three buildings are lean and minimalist, designed to be flexible and scalable as required to address ad hoc activities, thereby reflecting the Security Council’s vision of a small, efficient and temporary institution. 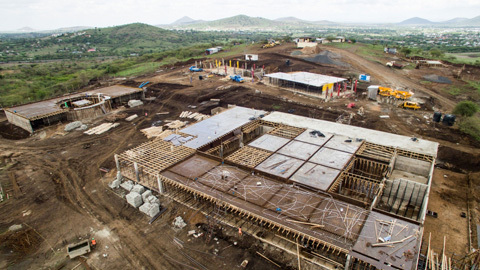 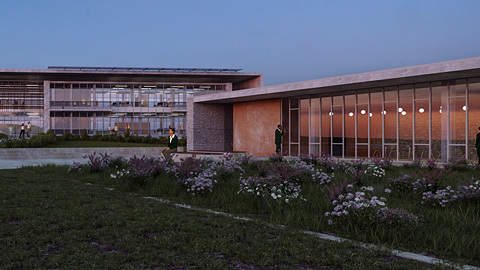 The project adhered to best practices for green building standards in the design and construction industries, thus minimising the consumption of energy, water and other resources, In turn, this minimises both the long-term operating costs of the facility and the emission of greenhouse gases. 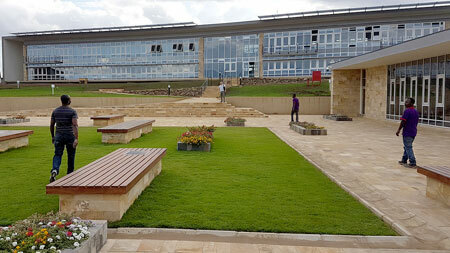 The Facility also complies fully with the Convention on the Rights of Persons with Disabilities. The site and buildings are accessible to all, with particular emphasis on researchers and other members of the public, including those with mobility, hearing, sight or cognitive disabilities. 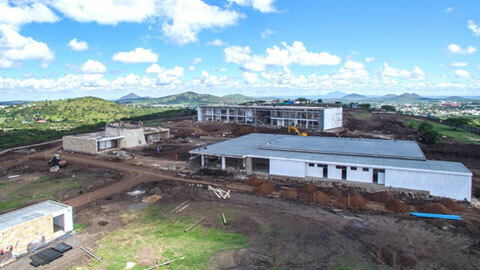 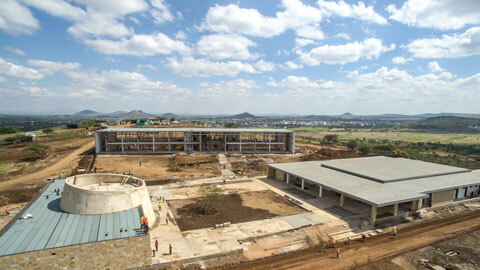 The completion of the project took approximately four years, for a total cost of around US$8.7 million.